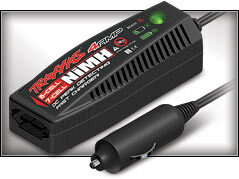 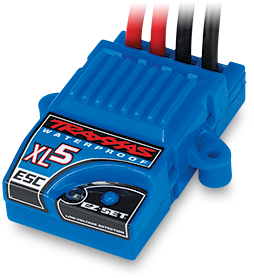 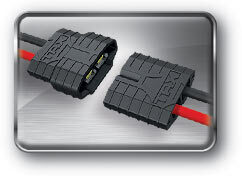 Traxxas' exclusive patented Training Modelet's everyone get in on the racing action. 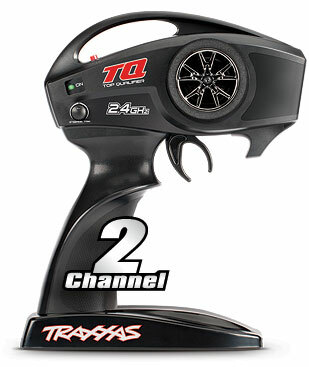 Just press a button to limit full-throttle power to 50%. 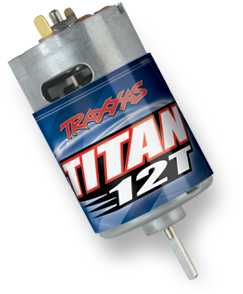 This allows young or new drivers to safely develop their control skills before unlocking full power to the mighty Titan 12T motor. 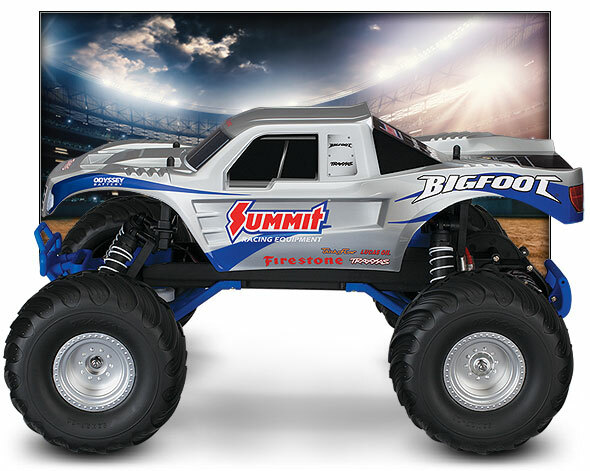 The BIGFOOT replica is perfect for drivers at all experience levels. 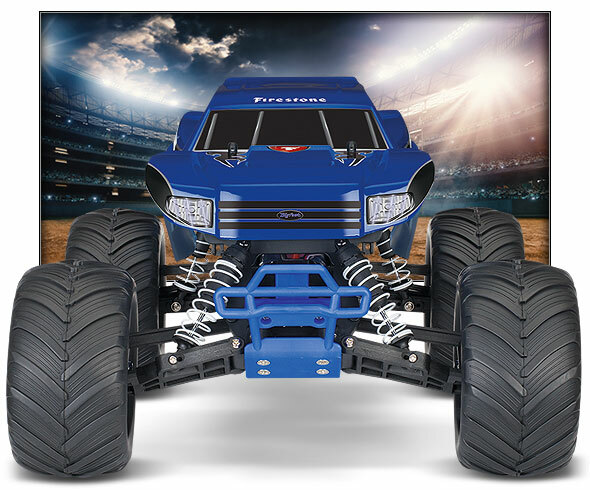 Training mode even makes it easy to hand the transmitter over to your friends who have never driven a radio controlled truck before. 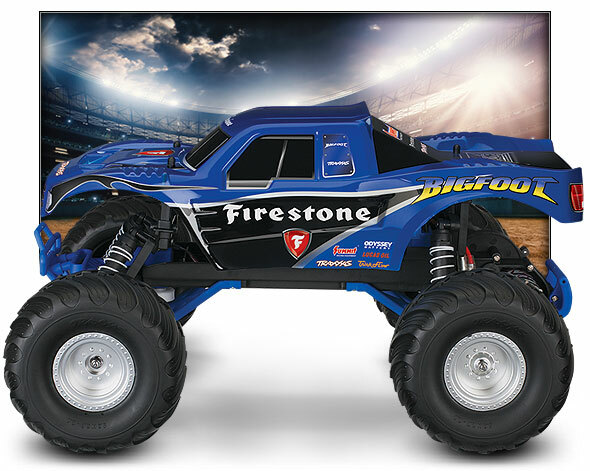 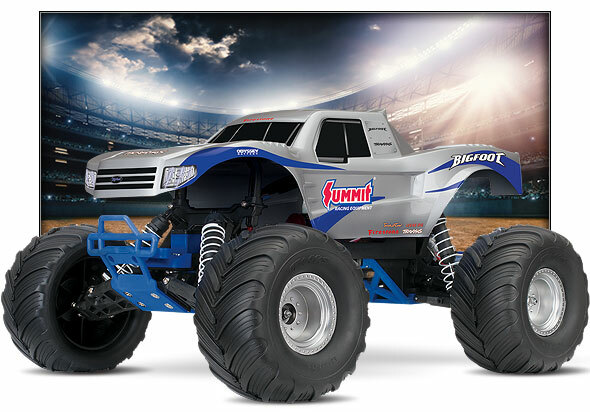 MODEL 36084-1: BIGFOOT®, 1/10 Scale Monster Truck, Fully-Assembled, Waterproof, Ready-To-Race®, with TQ™ 2.4GHz Radio System, XL-5 Electronic Speed Control, 4-amp DC Peak Detecting Fast Charger and ProGraphix® painted body.